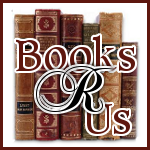 I want to welcome Holly McCaghren to Books R Us. 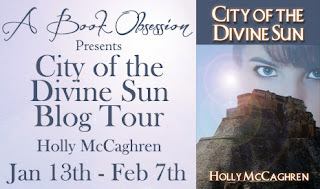 Holly is the author of the City of the Divine Son and is touring the blogosphere with A Book Obsession Blog Tours. Thanks for stopping by. 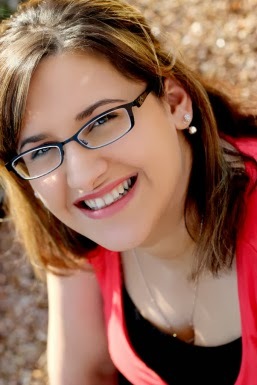 You can read all about my current/published novels on my webpage,www.hollymccaghren.com, as well as on Goodreads. Happy reading! "Now's our chance. We have to go before someone figure's out we're missing!" They reached the side of the helicopter without incident, and Ryder creaked open the driver's door and motioned for everyone else to pile in. Serena ducked in the passenger seat while Hunac and Madeline slid into the back seat. Tossing their bags in the small open cargo space in the back, everyone looked at Ryder expectantly. Serena noticed he seemed nervous for the first time since she'd met him. Sweat rolled down his face as he tried to make sense of all the dials and switches on the dashboard. It seemed as though there were at least a hundred different things to look at. I hope he knows what he's doing… None of this makes any sense to me. "Put on your headsets, folks. It's about to get really loud in here." "Here goes nothing…" Ryder muttered to himself. He moved so quickly, Serena couldn't keep up. She knew that time was of the essence. Once the rotors began to spin, everyone would know exactly where they were. Then the ground shifted nauseatingly before her, and she realized they were slowly rising into the air. The helicopter rolled forward, tipping dangerously down. The blades spun mercilessly close to the building where the men had gone. They flew out now, running madly away from the landing pad. "I'm trying, darling. It seems I'm a little more rusty than I thought." They were too high for her to be sure, but it seemed almost like the Barón had seen her and smiled. It wasn't a good smile, either. I love to read and bet that this book would be right up my alley. Thanks for the chance!